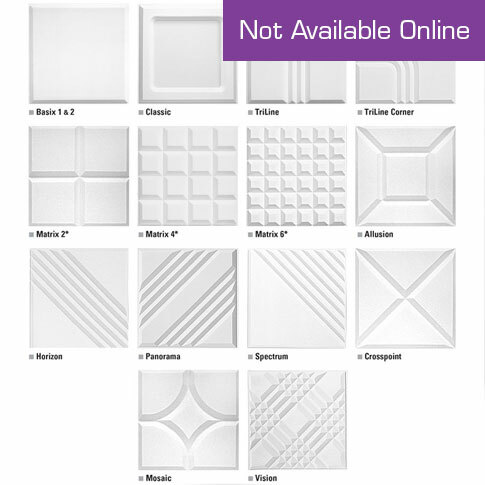 SONEX CONTOUR Ceiling Tiles come in several subtle to dramatic sculpted designs that can be easily mixed and matched to create a unique look. 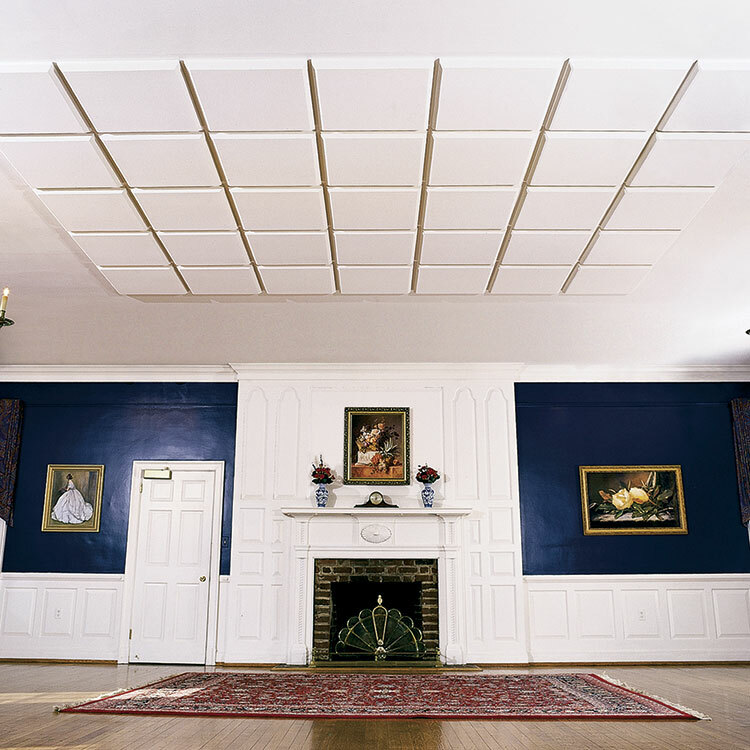 SONEX CONTOUR tiles are available for ceiling grid and adhesive applications. 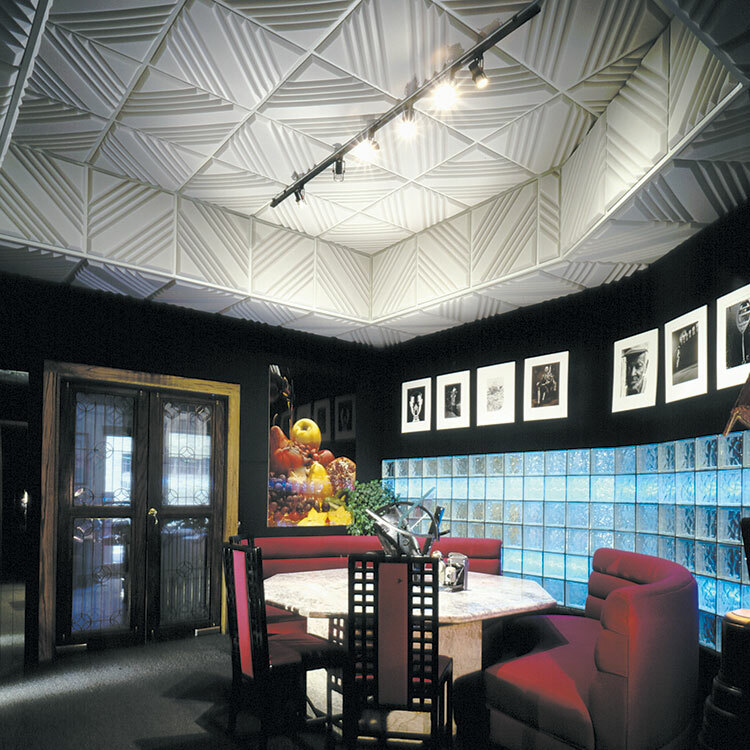 The ceiling grid tiles have a backerboard that blocks sound from traveling into adjacent rooms. 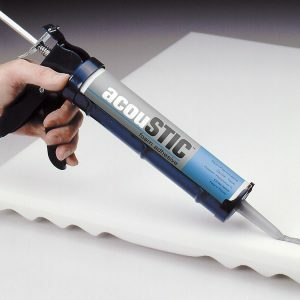 Tiles without a backerboard easily install using acouSTIC adhesive. Custom patterns, including corporate logos, and color matching are also available for creating a breathtaking signature ceiling. 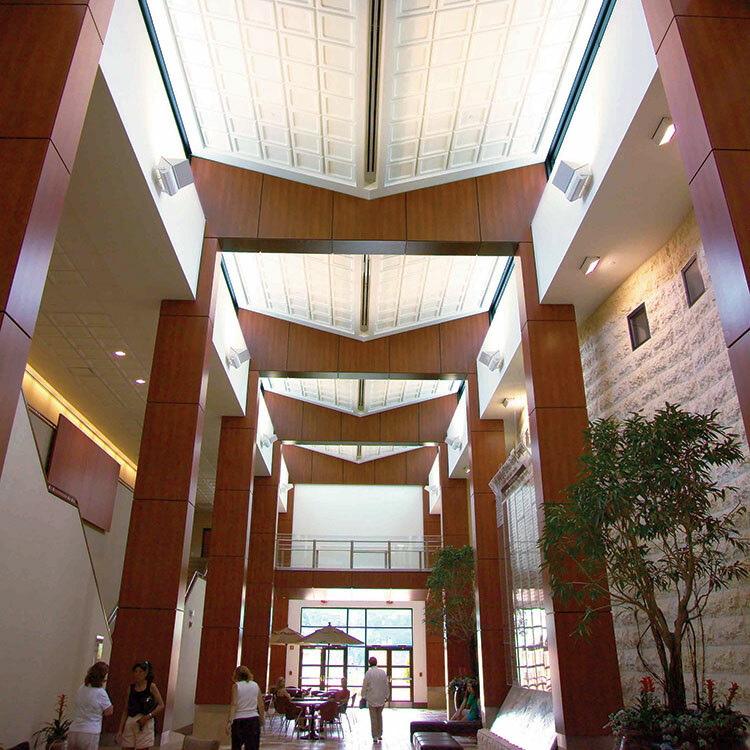 With CONTOUR Ceiling Tiles, you are only limited by your imagination. 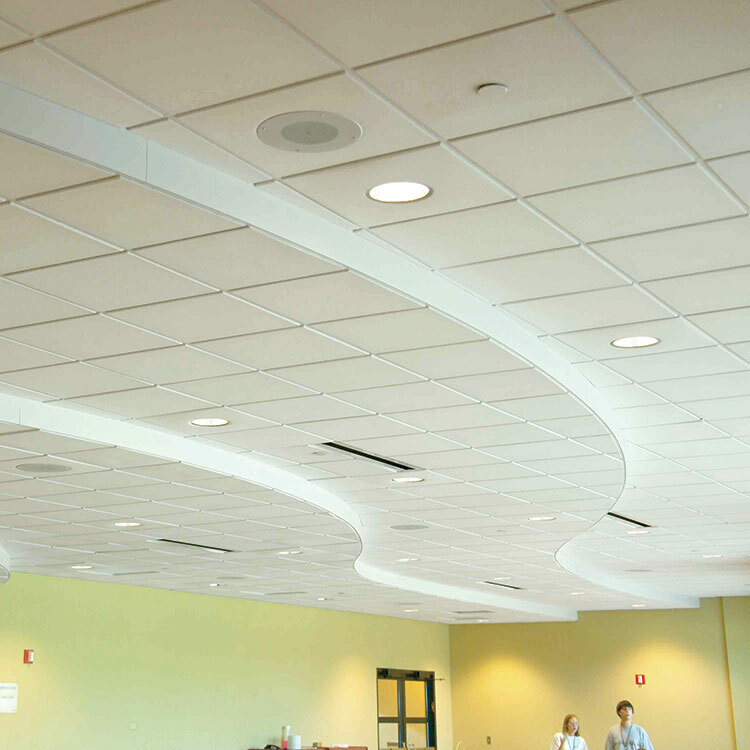 SONEX CONTOUR tiles with a backerboard have a ceiling attenuation class (CAC) of 34 to help contain sound – making them ideal for applications requiring additional privacy. Both the adhesive and ceiling grid SONEX CONTOUR tiles provide exceptional sound absorption and have Noise Reduction Coefficients (NRC) up to 1.20, depending on the pattern chosen. Manufactured from willtec® foam, SONEX CONTOUR tiles also maintain their integrity in moist or humid environments without sagging. With a unique waterbased HPC-coated surface – available in standard, premium and custom colors – SONEX CONTOUR tiles are durable and simple to clean with a damp cloth. Superior style and excellent performance – SONEX CONTOUR tiles are simply the ultimate in ceiling design.